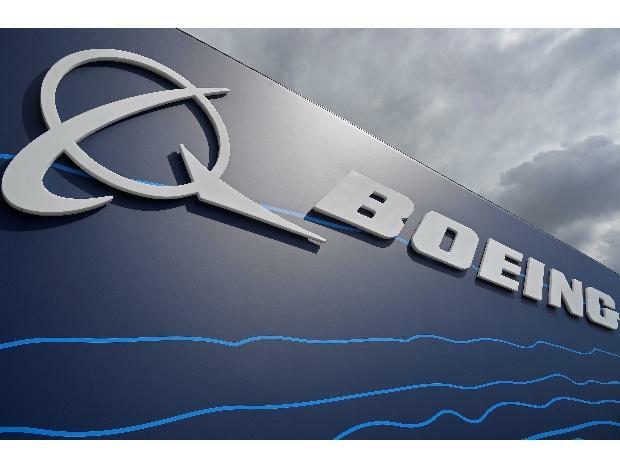 Boeing Co was agonisingly close to a software fix for its 737 Max jetliner when an Ethiopian Airlines jet plunged to the ground March 10, the second deadly crash in less than five months. The US planemaker, working with regulators, has spent months refining the feature since flight data from the October crash of a Lion Air jet in Indonesia indicated that the flight-control system had repeatedly tipped the nose down before pilots lost control. The upgrade proved more complicated than the manufacturer initially estimated, according to a Boeing executive. Among the challenges for Boeing flight-control engineers is girding against “unknown, unknowns,” the random and unlikely circumstances that could cause the so-called MCAS software to again overwhelm pilots, said Mike Sinnett, a Boeing vice president of product strategy and development. The updated system will never command more pressure on a stabilizer than pilots can counteract by pulling back on the control column, he said. Pilots “will always have the ability to override MCAS and manually control the airplane,” Sinnett told reporters Wednesday. He spoke at a briefing near the Renton, Washington, factory where Boeing manufactures the Max, it’s all-time best-selling jetliner. The Maneuvering Characteristics Augmentation System has emerged as a focus for investigators in both crashes, which killed a combined 346 people. U.S. lawmakers are probing how the system, activated without pilots’ knowledge by a single sensor reading, came to be approved on the Max. Boeing intends to present U.S. regulators with the final documents for certification later this week, the last step in a process the company outlined for the Federal Aviation Administration on Jan. 21. Boeing will also have to convince skeptical regulators in Canada, Europe, China and elsewhere of the system’s safety. The shares rose 1 percent to $374.21 at the close in New York, erasing losses earlier in the session. Boeing has lost $27.5 billion in market value since the crash in Ethiopia. Once the manufacturer has clearance from regulators, the plane could resume flying within days. The software patch takes about an hour to download, while airlines will also need to retrain pilots using new materials the company has refined. Boeing has launched a communications blitz to restore confidence in the Max, the revamped version of its workhorse single-aisle jet, which has been deeply tarnished by the crashes less than two years after the plane’s debut. The company has been meeting with airlines and regulators worldwide, and it held detailed briefings for reporters and 200 pilots and industry officials on Wednesday. The redesign, intended to prevent MCAS from deploying in normal flight, has gone through months of testing, starting with hundreds of hours of desktop simulation, Sinnett said. Then it was tried out on hardware in a laboratory, on fixed-base simulators and then through ground and flight tests. Production aircraft, deliveries of which have been halted by the global grounding, have been flying the new version of the software for a “couple weeks now,” he said. Before the crash in Ethiopia, Max operators including Southwest Airlines Co. had gotten wind that the long-awaited software change was in the works, without having received details. Southwest, the largest operator of the 737 Max, said it was encouraged by Boeing’s proposal now. The planned software update “appears to add yet another layer of safety” to the aircraft’s operation, Bob Waltz, Southwest’s chief pilot, said in a statement. American Airlines Group Inc., the world’s largest carrier, also welcomed the changes. The update will compare readings from two angle-of-attack sensors, which measure the angle of a plane’s nose against onrushing wind. If they disagree by 5.5 degrees, MCAS won’t activate, Sinnett said. The company also plans to activate a small indicator on a cockpit dashboard that shows when the sensors have different readings. Boeing is also changing the way pilots train for the system. The flight-crew operations manual will describe the speed trim system that has been used on the 737 Next Generation family along with MCAS. Pilots will gain more training via a tablet, including a test. But Boeing still doesn’t see a need to require that pilots spend time in a flight simulator. When MCAS is operating properly, the 737 NG and Max fly identically. No simulator training is required because handling quality is considered identical, the company said.